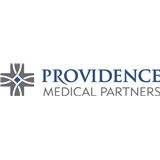 Providence Medical Partners-Sierra Campus (El Paso) - Book Appointment Online! Dr.Ayala listens and takes his time with you. He is very professional and very attentive to all your concerns. She was very informative in answering my questions and concerns. Was very patient and not rushed. Also the staff was very helpful.